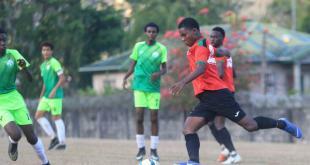 Debutantes Central FC hopes to start its maiden Digicel Pro League campaign in front of a large crowd on Friday when the “Sharks” kick off against Police FC from 6 pm at the Mannie Ramjohn Stadium, Marabella. 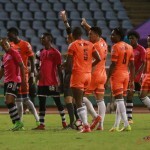 Central and Police will be followed by defending Caribbean champions Neal & Massy Caledonia AIA and Pro League champions DirecTV W Connection in an intriguing double header. Central managing director and former World Cup 2006 defender Brent Sancho believes that there will be plenty to excite football fans and is calling on workers and residents from central Trinidad to come out and support their team. “It’s been a long, hard four months since Kevin (Harrison) and I conceived Central FC. But the support from sponsors, local businesses and the Central community has carried us through. 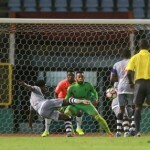 Central lost 3-0 to Defence Force in its only competitive game thus far in the First Citizens Cup. The Sharks’ English coach Graham Rix, once an assistant coach at Chelsea, said the long layoff offered extra time to prepare his side. But he just wants to get on the field now. 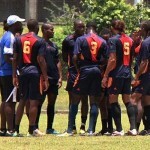 Photo: Central FC assistant coach Kevin Jeffrey (far left) has a word with his squad during a training session. Central operations director Kevin Harrison said the club would distribute free match programmes at the game while supporters’ tee-shirts and Sharks noisemakers will be on sale. He credited the Pro League’s operational staff for its work in promoting the competition and its additional assistance to clubs as a good sign for the future. 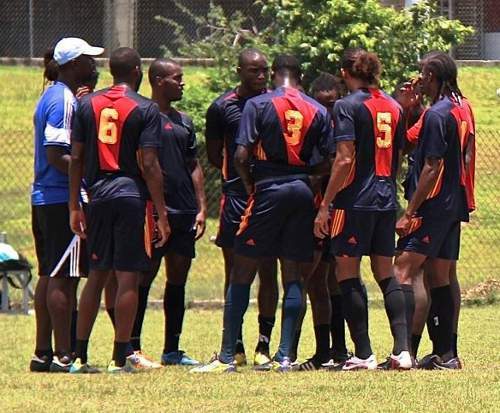 The Central footballers, led by captain Anthony Wolfe, will aim to do their part on the field against Police. 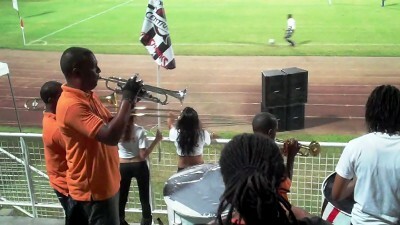 Central FC is Trinidad and Tobago's newest professional team and is based at 53 West Boundary Street, California, Couva. Known as the "Sharks", Central FC is run by the duo of managing director and ex-2006 World Cup player Brent Sancho and operations director and former England PFA employee Kevin Harrison.